Oxycodone ER capsules initially received tentative approval in November 2015. 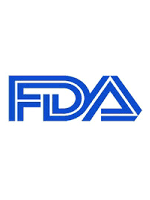 The tentative approval was the result of a patient litigation that was filed by Purdue Pharma LP in March 2015, subjecting oxycodone extended-release capsules to an automatic stay of up to 30 months. The litigation hold has since been lifted. Using DETERx technology, oxycodone ER capsules is designed to provide adequate pain control while maintaining its drug release profile after being chewed and/or crushed—a benefit not afforded with other currently marketed drugs with ER properties. Therefore, in addition to its differentiated, abuse-deterrent properties, oxycodone ER capsules allow for flexible dosing in patients who have difficulty swallowing medications; the capsules can be broken and its contents can be poured into a feeding tube or sprinkled on food. The approval of oxycodone ER capsules was based on an enriched-enrollment, double-blind, placebo-controlled, parallel-group study involving 740 patients with persistent, moderate-to-severe chronic lower back pain, with inadequate pain control from their previous therapy. Treatment with oxycodone ER capsules resulted in a higher proportion of responders, defined as patients with at least a 30% and 50% improvement in pain compared with placebo. “Abuse-deterrent opioids are a critical component to fighting the widespread national epidemic of prescription opioid abuse,” commented Jeffrey Gudin, MD, director of pain management and palliative care, Englewood Hospital and Medical Center, New Jersey, in the Collegium press release. “The FDA approval of Xtampza ER is incredibly timely as abuse and misuse of opioids is at an all-time high."